So, we decided to add a cushion to the bench. Given the angles of the walls, the cushion had to be custom made. 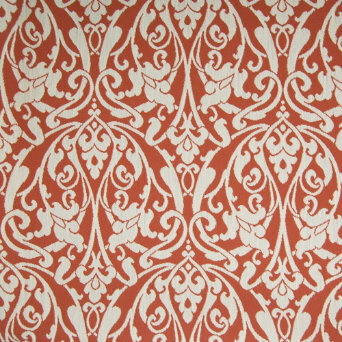 We chose a fabric that coordinated with the window treatments we designed, deciding on a plaid. The cushion not only adds softness to the bench, but it also adds color and pattern to the room. The nook is now a place where this family can read and dream and relax. 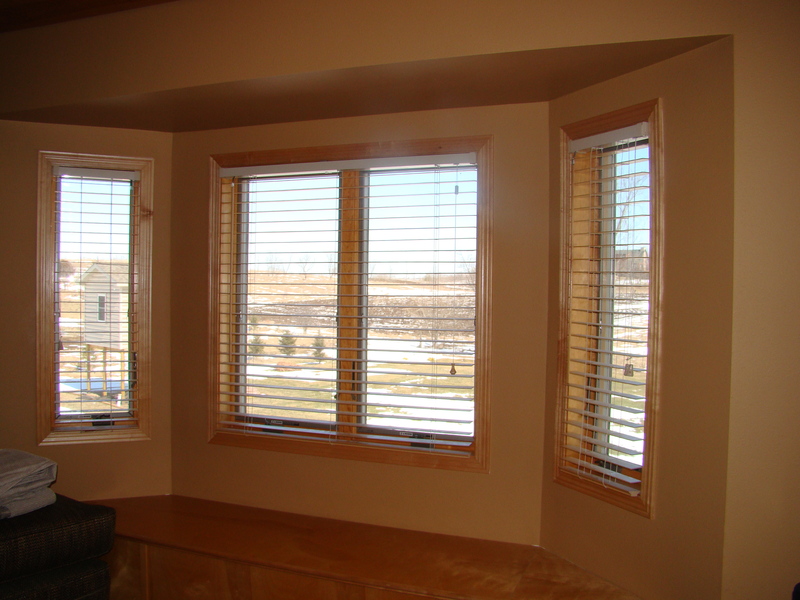 Now, there are some considerations to make if you would like to create a window seat or nook in your own home. Even if you want to add a cushion to a piece of furniture, be sure to think it through before doing so. First, if you are having a bench built into your room, consider having it built several inches shorter than the standard height of a bench. Standard chairs and benches have a height of 18″ (give or take). If you would like to add a cushion to the top of a bench, have it built 2-4″ shorter with a height of 14″-16″. This gives you enough room to add a cushion without raising the height out of the comfort zone of most people. While having an abnormally high bench may not be an issue in a window seat, it can create a problem at a dining nook – your knees may hit the bottom of your table and the added height may cause you to hunch forward to eat your dinner! Definitely not good. Obviously, if your bench has already been built, or you are using a piece of standard furniture, you will have no control over the height. In this case, you may want to go with a thinner cushion. The cushion in the photo above was constructed with 3″ thick high-density upholstery foam. 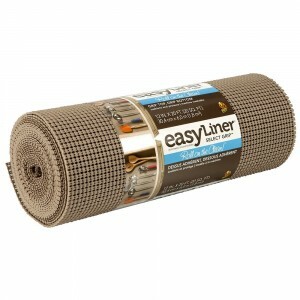 This is great for comfort and for creating a cushion that will last for many years. But, using 1″ or 2″ thick foam may be better if added height becomes an issue in your situation. An outdoor fabric like this one from Greenhouse Design makes a durable, washable bench cushion for messy areas. For “messy” areas – like an eating nook in the kitchen – consider your fabric carefully. Choose something with either a busy pattern that will hide stains, or a fabric that will be easy to clean; a polyester microfiber or even an outdoor fabric may be a good choice for this. You can also have your cushion made with a zipper so the cover can be taken off for laundering or dry-cleaning. Finally, if your cushion will not be attached to the bench in some way (as with the one in the photo above), it may tend to slip off the bench. To minimize this, you could use Velcro; attach one half to the bench and sew the other half to the bottom of the cushion. The trouble with this solution is that it eliminates the opportunity for you to flip the cushion over to even out the wear of the fabric over time. 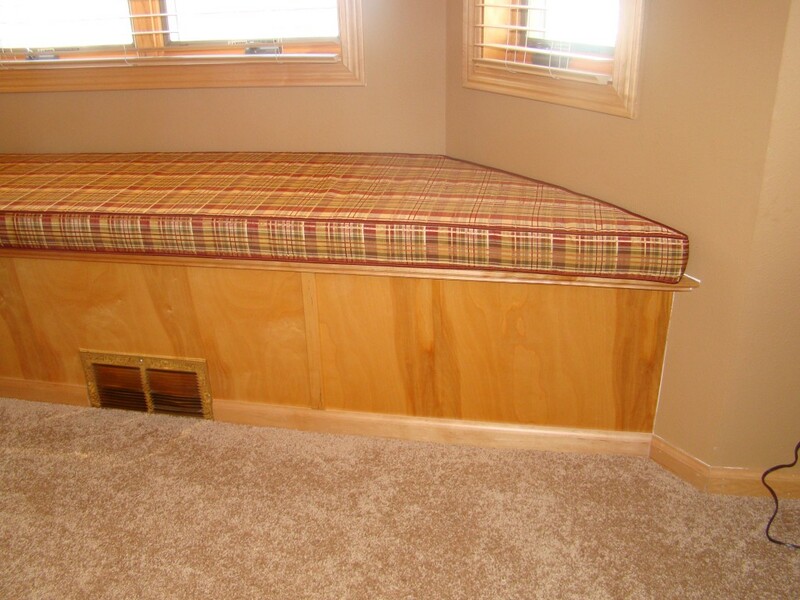 Another solution is to place a piece of non-slip rug padding or shelf liner under the cushion. This does not need to be attached to either the bench or the cushion, but it will minimize slipping during normal use of the bench. Add a cushion to your bench and create a useful, beautiful space for your home. A little forethought will ensure a cushion that meets your needs and adds beauty to your space for years to come.